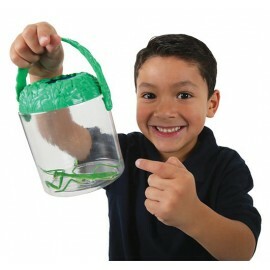 The Big Bug Magnifying Jar is the perfect place for bug-loving kids to view their critters and keep them safe! 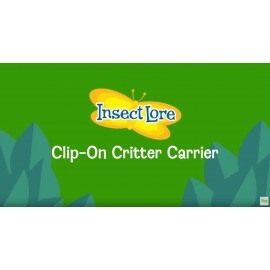 Its sturdy and shatterproof and designed with kid and critter comfort in mind. 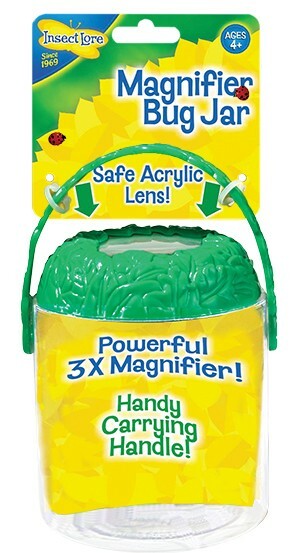 The lid has a 3x magnifier for super bug viewing!